The Yoga Alliance is a globally recognized organization that sets standards and provides credentials that are the premier form of recognition for yoga teachers and teacher-training programs. Their credentialing system is a way of identifying certain yoga teachers and schools whose training meets their standards, which require a minimum number of hours or study in certain educational areas. These individuals or schools are able to use the title and mark of Registered Yoga Teacher (RYT) or Registered Yoga School (RYS), as long as they maintain their registration with Yoga Alliance. So, Where Should You Go To School For Training? People often seek out their training at a school or studio where they have been attending or practicing yoga, but now always. Doing research and knowing about your teacher and school is very important. Attending a Registered Yoga School (RYS) means that the training program meets Yoga Alliance minimum standards of curriculum and that training is taught by experienced teachers. Not all yoga studios train new teachers. You can find schools that are registered to train new instructors through Yoga Alliance directory. I chose to begin my teacher training with YogaFit. I did so because of their approach, philosophy, and accessibility. I also chose YogaFit because of my background in fitness and instruction to large groups of people with very broad ranges of ability. I do not have a strong yoga background by any means. YogaFit (“Yoga for the Fitness Industry”™) was developed in 1994 by Beth Shaw. She found that, at the time, many professional certifications taught a lot about the history and philosophy of yoga, but they did not address the challenges of teaching yoga in a fitness setting. She created her own style that combined fitness moves with traditional yoga postures. To make it more “user-friendly”, she eliminated Sanskrit names of postures and avoided the ohming and chanting sometimes associated with traditional yoga practices. 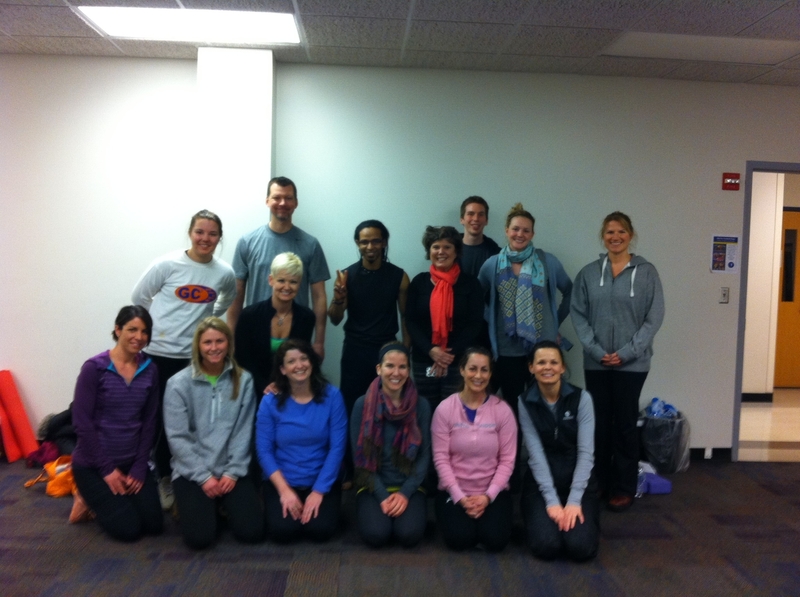 Having just attended the YogaFit Level 1 Training, I was happy with what I was able to learn. My main objective was to begin to learn the basics of teaching yoga so that I could incorporate it into some of my other classes that I teach. The training was two full-days, 8am-6pm, on a Saturday and Sunday. It included a manual with all of the exercises, which were also reviewed in detail over the course of the training. The early bird cost was $399. Although this might seem expensive, a bonus for me was the fact that YogaFit has a partnership with the American Council on Exercise (ACE) and the time and money spent here also allowed me to get 15 continuing education credits for my primary certification that I have through ACE. One of the aspects that I appreciated about the training, besides gaining a better understanding of form and technique, was the language that YogaFit uses. They call it “Transformational Language”. Without sharing too much (their materials are copyrighted) I will say that I definitely walked away with tools for improved communication not just for teaching yoga, but for all of my classes and in life. YogaFit is registered with Yoga Alliance as a recognized 200 hour school. There were two people in my Level I certification class that were completing their 200 hour training by coming back to where it all started for them: Level 1. YogaFit has a LONG list of the varying types of trainings that they offer, and their 200 hour training requirements can be found here. There are certainly many benefits to YogaFit as a 200 hour training system. However, one drawback I would see to YogaFit versus training at a studio would be that you don’t really have a “mentor”. If you are training at a school or studio you would typically engage with 1 or a couple of instructors who you would see on a very regular basis over the course of your 200 hours. With YogaFit you attend various all-day or multiple day trainings and pack a lot into a small amount of time. You are getting your training in a classroom setting with other people who are working on their hours as well. You aren’t engaging with your instructor/mentor in the studio setting which also has the participants and day-to-day elements of being an instructor. I appreciate the YogaFit approach and philosophy and it was a good fit for me. I think the most important thing for anyone considering becoming a yoga instructor is to practice yoga themselves, explore various instructors and studios, and determine what style and approach works for them. Talk to other yoga instructors and ask them where they studied and what their experience was like. That might take some time. Be patient. You don’t want to dive in to become an instructor without having a sense of what works for you. I regularly recommend that new professionals explore the possibility of learning about yoga. Whether you are thinking about becoming a personal trainer, occupational therapist, corporate wellness specialist and anything in between, I see yoga as being a great tool in your tool box. It has so many great benefits to so many populations. It is also very technical and can really challenge you to have to know your anatomy and become a good teacher – not just demonstrating movements – but explaining and verbalizing proper form and why it’s so beneficial. There is a reason yoga has been around as long as it has. It regularly remains at the top of the list of the growing trends in not just general fitness but mental health practice, preventative health, medical fitness and others. It has definitely challenged me, and I have already benefited from adding it to my toolbox.